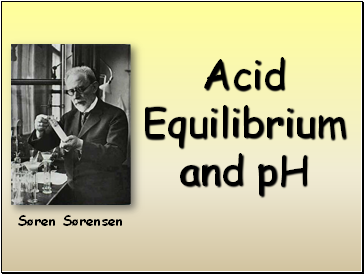 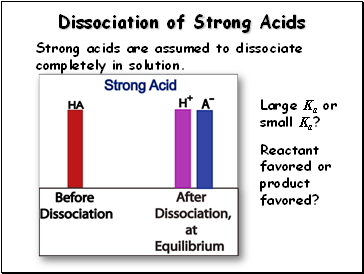 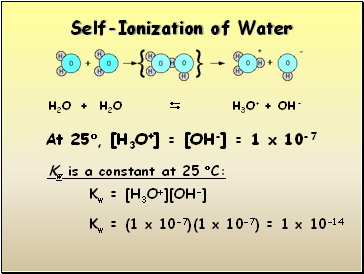 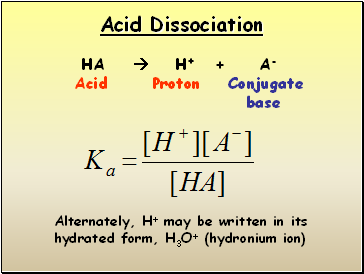 Strong acids are assumed to dissociate completely in solution. 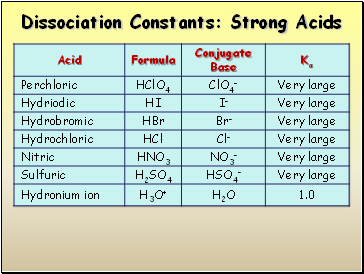 Large Ka or small Ka? 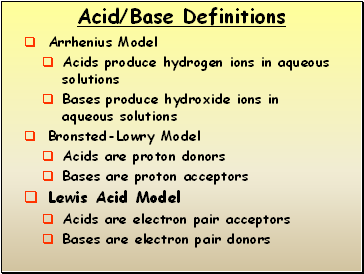 Reactant favored or product favored? 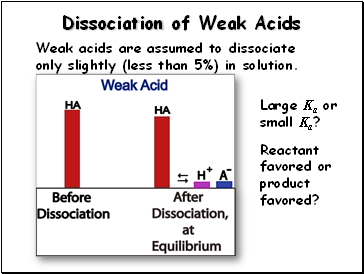 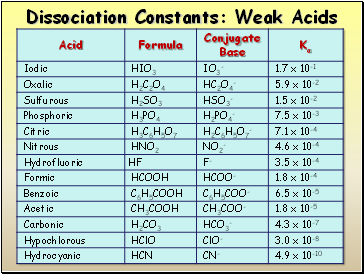 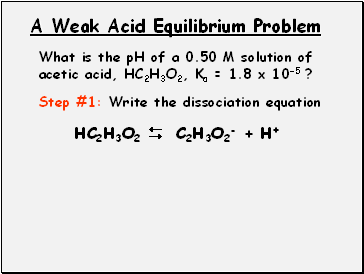 Weak acids are assumed to dissociate only slightly (less than 5%) in solution. 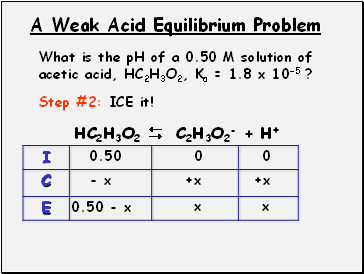 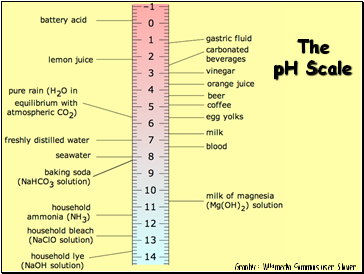 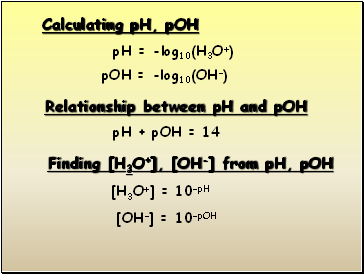 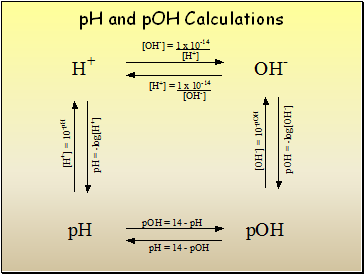 What is the pH of a 0.50 M solution of acetic acid, HC2H3O2, Ka = 1.8 x 10-5 ?